Wholesale Direct is proud to be introducing our environmentally friending care partner PaperPak Paper Carry bags to our range. If you have been to store such as Officeworks you have see paper carry bags produced by PaperPak, that’s how confidence a large franchise has with Paperpak paper carry bags. PaperPak was established in 1989 to provide a paper packaging solution for retail industry. 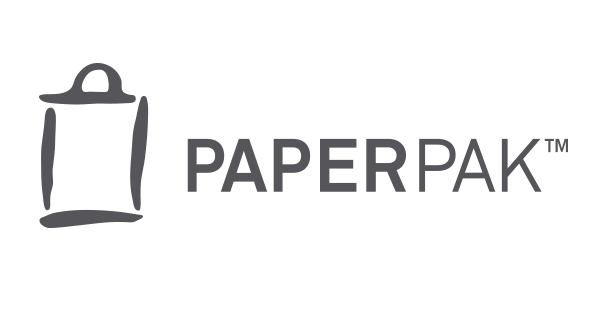 PaperPak have grown to become a premier paper packaging company in Australia and New Zealand, servicing a variety of customers with a wide range of products and exceptional service for over 27 years. PaperPak is part of the family owned Detmold Group, founded by Colin Detmold in 1948. After 70 years of continued growth and expansion, the Detmold Group remains owned and operated by the Detmold family. PaperPak is the largest Australian made paper bag and carton range with 99.99% defect-free. Supplying one of the biggest recyclable retail packaging paper carry bags all over Australia and New Zealand. Paperpak are trusted by large retail brand such as Calvin Klein, Kmart, Country Road and Officeworks. A member of the Detmold Group, PaperPak maintains high global standards for quality consistency. PaperPak products are manufactured in food packaging-grade environments. This ensures they meet the highest quality standards, surpassing required standards for retail non-food packaging. PaperPak manufacturing operations are ISO9001, HACCP or BRC accredited. The Detmold Group is audited regularly by accreditation bodies, as well as some of the world’s biggest brands, multiple times a year, to ensure consistency of quality every time. PaperPak paper carry bags Wholesale Direct stock includes the popular recycled twisted handle paper carry bags in a ranges of size and the so ever cute and popular petite twisted handle paper carry bags in colour of white, black and Kraft. Shop PaperPak checkout carry bags now!